& share a unique experience! These entertaining and original workshops are all based on the key ingredient of Wine. Events for businesses hosted by professional sommeliers and wine lovers. The mobile workshops last from 2 to 4 hours and are available for 4 to 200 participants. Instruction, creativity and expertise are our three pillars that ensure we meet all your expectations. Are you looking to connect with your team-members, motivate your employees or gain the loyalty of your best customers? Original events designed to use our own sensations and emotions to discover the sensory profile of a wine. Workshops focused on relaxation, stress management and the respect for nature… Zen, let’s be zen! Gourmet tastings, wine & food pairing, surprising flavour combinations. Instruction, creativity and expertise are our three pillars that ensure we meet all your expectations. Are you looking to connect with your team-members, motivate your employees or gain the loyalty of your best customers? FRANCK THOMAS TRAINING is a training company that brings together highly skilled professionals from all around France (Paris, Lyon, Toulouse, Bordeaux, Montpellier, PACA, Corsica…). 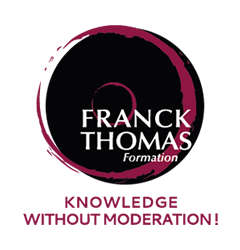 Franck Thomas and his team of registered trainers and professional sommeliers provide innovative training based on their expertise and in-depth knowledge of the world of catering and wine. in your projects and goals. Our team of experts provide advice for wine enthusiasts and professionals. Whether you want to build your wine cellar or buy or sell fines wines more effectively, Franck Thomas, Best Sommelier of Europe and Best in-Craft Sommelier of France, has the solution to your wine-related projects. 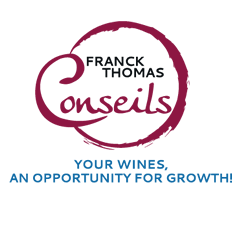 Whether you are professional or individual, with his experience and his passion for wine, Franck Thomas and his team will guide you and provide you with the keys to success!!! Do you need advice on marketing, merchandising or other wine-related communication? A wine specialist is at your service. Contact us. WHO IS FRANCK THOMAS ? 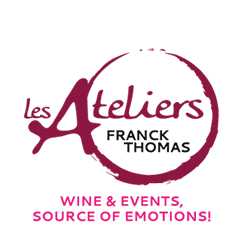 Franck Thomas is a friendly and honest Sommelier with exceptional accolades and experience in a number of prestigious establishments on the French Riviera. He is passionate about sharing his knowledge and fully devotes himself to educating the new generation of sommeliers in the PACA region. He also trains wine professionals and hotel and catering staff throughout France. Alcohol abuse is dangerous for health. To be enjoyed in moderation.